In East Africa, a "make-over" style reality television show is providing millions of farmers with top-notch agricultural information. In a recent episode, TechnoServe's own Charles Murage, a business advisor for the YieldWise program, made his TV debut, giving tips to reduce postharvest loss on mango farms. TechnoServe's own Charles Murage, a business advisor for the YieldWise program, made his TV debut on Shamba Shape Up this week, giving tips to reduce postharvest loss on mango farms. The popularity of the “makeover” reality TV show has not only skyrocketed, but remained a constant force for more than a decade. It’s not difficult to imagine why – through these programs, viewers can virtually renovate their dream homes, wardrobes, and careers over the course of an hour. While the participant on the program certainly undergoes a significant transformation, rarely do these programs inspire real action or change among their audiences watching from home. Afterall, it’s unlikely they will also be presented with the opportunity to “make it big” as a musician or completely transform other aspects of their lives. But Shamba Shape Up – Africa’s pioneer “make-over” style reality series – improves the lives of everyday farmers by giving them access to knowledge on diverse, relevant farming practices. Since its pilot in 2012, Shamba Shape Up has completed six seasons, each focusing on a wide range of agricultural practices from pest control, to irrigation, and climate resilience. But the most exciting innovation behind Shamba Shape Up is not its important subject matter, but its ability leverage this popular TV genre to share practical agricultural knowledge with so many viewers, enabling them to make real change in their own lives and farms. 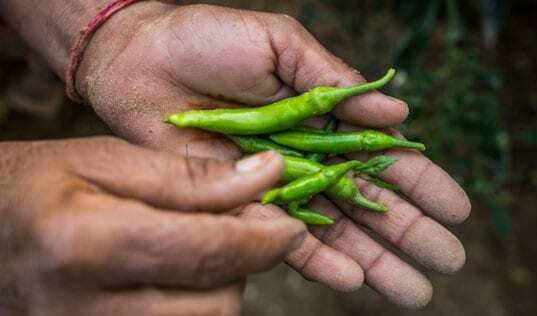 Most smallholder farmers are widely dispersed across rural areas, making it difficult to provide sustained, cost-effective agronomy training. However, with viewership of over 11 million across Kenya, Tanzania, and Uganda by the launch of the show’s sixth season in 2016, Shamba Shape Up’s messages are effectively overcoming the communications and outreach barriers that have long plagued more traditional initiatives for agricultural development. 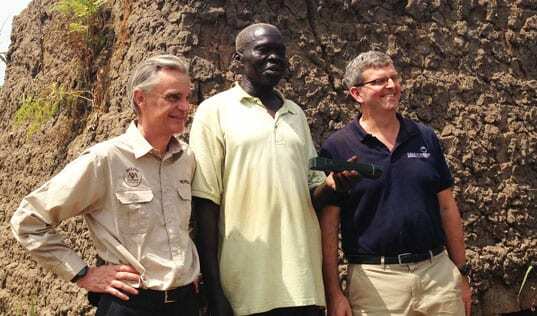 Providing training in remote rural areas is a major challenge for agricultural development. 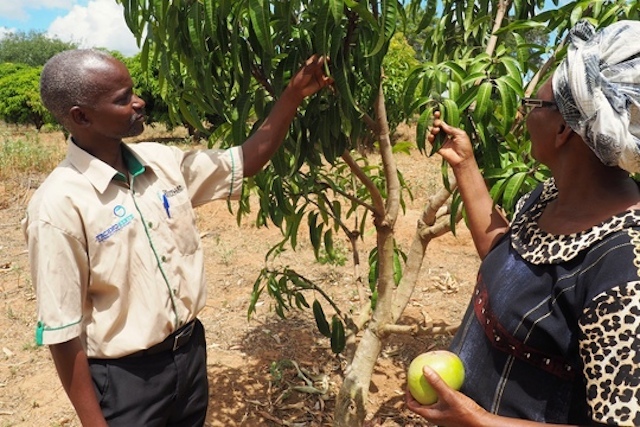 Here, a TechnoServe business advisor for the YieldWise program trains a farmer to minimize damage to her mango crop during harvest. Beyond their ratings, Shamba Shape Up has also reported impressive results towards their goal of improving agricultural practices across East Africa. Surveys conducted afterseason six reported not only that 80 percent of viewers learned something new from the program, but also that 43 percent actually changed their behavior as a result of watching. Of those who adopted new farming practices, 77 percent reported increases in income. But what is it about Shamba Shape Up that allows it to inspire such impressive results? A 2014 survey found that the probability of farmers implementing recommended changes was primarily influenced by their level of trust in the source of that information. It’s not surprising that this same survey also indicates that, for regular viewers of the program, Shamba Shape Up ranks higher on trust than any other source of agricultural information. This trust level may be due in part to the program’s reliability and relatability. Airing weekly, farmers constantly hear the stories of everyday people tackling common problems on farms just like their own. Even those who do not have consistent access to a television can watch with friends and family, or discuss the content at meals or in social settings. The same 2014 survey found that over 75 percent of farmers said they either “strongly” or “somewhat strongly” agreed when asked if they “identify with the problems farmers face in Shamba Shape-up TV programme.” And while the episode-specific agronomy advice does come from outside, technical experts each week, the same two, dynamic hosts are there to facilitate the conversation, making sure new information is broken down into digestible tips and actionable next steps. 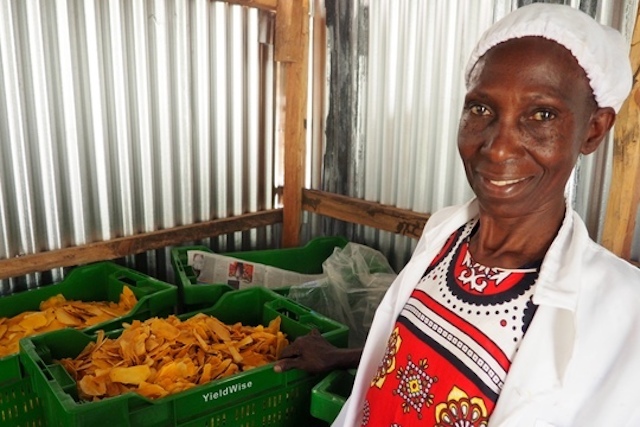 In a recent episode of Shamba Shape Up, TechnoServe business advisor Charles Murage explained how drying surplus mango can help farmers to minimize postharvest waste and maintain constant income throughout the year. Just last week, one of the show’s technical experts was TechnoServe’s own Charles Murage, a business advisor at TechnoServe Kenya. Charles works on the YieldWise project – a partnership with the Rockefeller Foundation to reduce postharvest loss in Kenya’s mango value chain – and was able to contribute his advice on how Shamba Shape Up’s featured farmer could improve the profitability of his mango operation. The episode highlighted various solutions for reducing damage to mangoes during and after harvesting, and also addressed how farmers can continue to earn from their mango crops even after harvest season using drying machines. 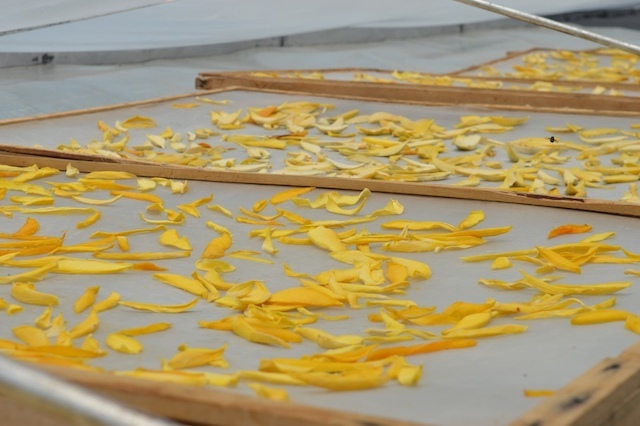 Drying the mango prevents them from going to waste when the market is saturated during harvest season and also allows farmers to sell their preserved crop throughout the year for a more sustained revenue stream. Yieldwise has introduced innovative cooling and drying technologies in various regions of Kenya to help extend the shelf life and profitability of each harvest, and the team was excited by the opportunity to share some of their innovations to such a wide audience of farmers across their country and beyond. The more mouths spreading the word about improved, environmentally sustainable agricultural practices, the more the region’s agricultural sector will grow at large. We can’t wait to see what the next episode of Shamba Shape Up holds and what impact the series will continue to have on the lives and practices of farmers in Africa. 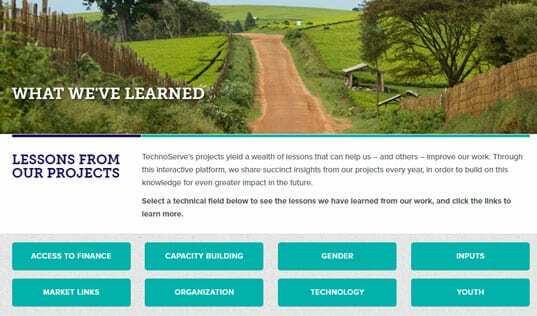 Read more about TechnoServe’s work to connect farmers in remote areas with the training they need through video and other innovative techniques, or view more episodes of Shamba Shape Up here.